There are three guest cabins that sleep two and two crew cabins. The new Swan 95 S is a versatile, high performance yacht that combines superior cruising capabilities with the inimitable style and quality Nautor’s Swan is renowned for. The Swan 95 S features the semi raised saloon allowing panoramic views outside that has been a distinctive trait of the latest fast cruisers from Nautor. As much as her larger stable mate, her specifications of interior, deck, rig and appendages can be adapted to a variety of models for, either a full cruising, cruiser-racer or full racing modes. The new Swan 95 is the evolution of the Swan 90: longer, proportionally lighter, stiffer and faster than her predecessor. 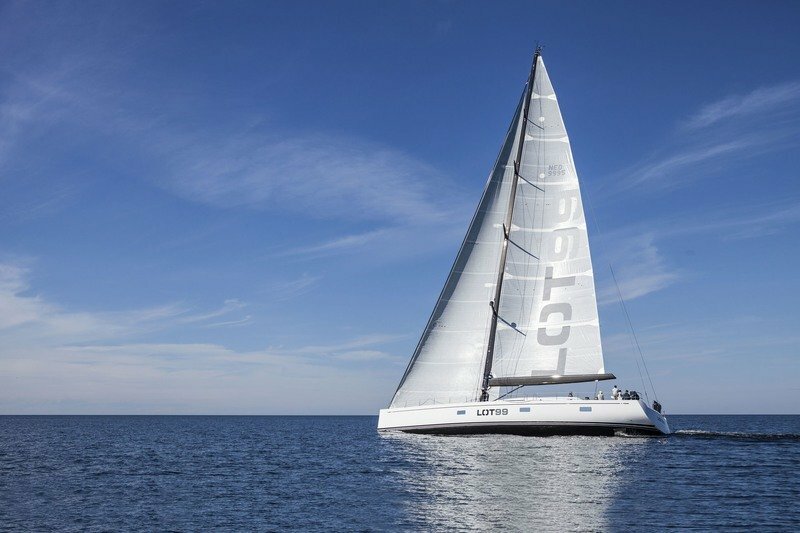 It follows the maximum sailing length concept of her larger sister; the Swan 115. As much as her larger stable mate, her specifications of interior, deck, rig and appendages can be adapted to a variety of models for, either a full cruising, cruiser-racer or full racing modes. An efficient, high aspect ratio lifting keel offers the possibility of having a deep draft high stability with a lighter ballast bulb for racing, in combination with an efficient square top fractional rig and racing bowsprit. On the other hand, the traditional triangular mainsail with a permanent backstay would be less demanding to the crew and thus better suited for cruising. The Swan 95 S designed principally for guest comfort with well defined social areas and easily deployed sun protection in the guest cockpit. 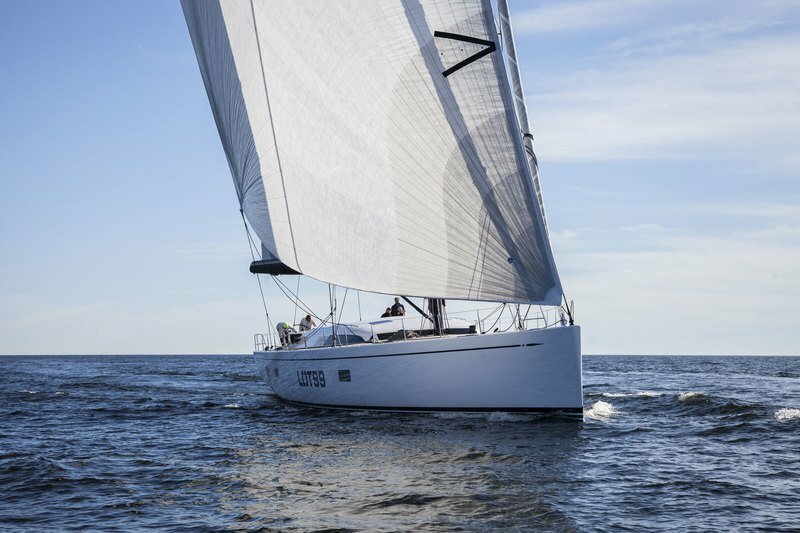 Even if the footprint of the superstructures of the Swan 95 S and Swan 95 FD are very similar, and the sail handling equally easy the overall results differ considerably. While the Swan 95 S designed principally for guest comfort with well defined social areas and easily deployed sun protection in the guest cockpit, the Swan 95 FD is intended for action and the efficient work of a competitive crew on the racing circuit. The height of the coach roof is kept to a minimum so as to give optimum visibility and little interference with the handling of the numerous racing sails. In both cases winches are strategically located and capable of multiple functions. Two basic layouts of the modern, practical, comfortable interior have been studied in detail by experts in long distance cruising and modern design, including a variety of customisation options, both the owner forward and owner aft versions of the circulation of the comparably large spaces while sailing at larger degrees of heel. 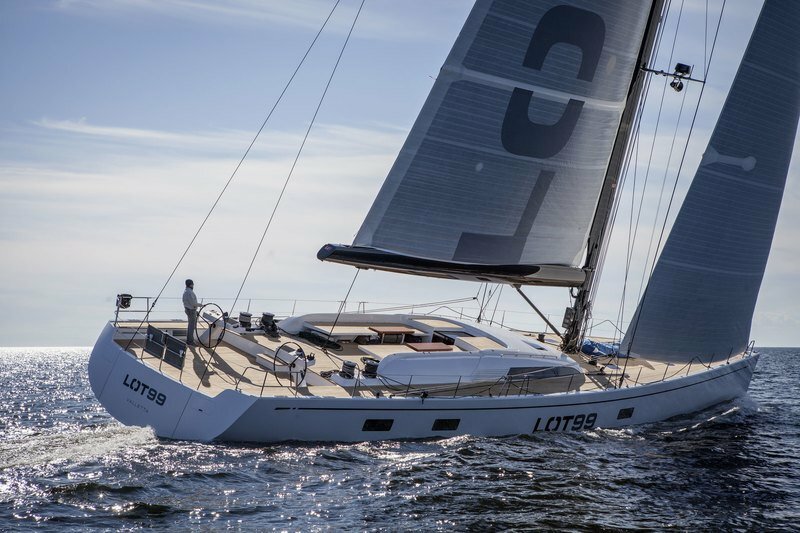 All in all I feel that the Swan 95 in all the various configurations is the ideal yacht for the sailor who enjoys being close to the action and the elements. The Swan 95 boasts twin rudders to ensure she is responsive and maneuverable. 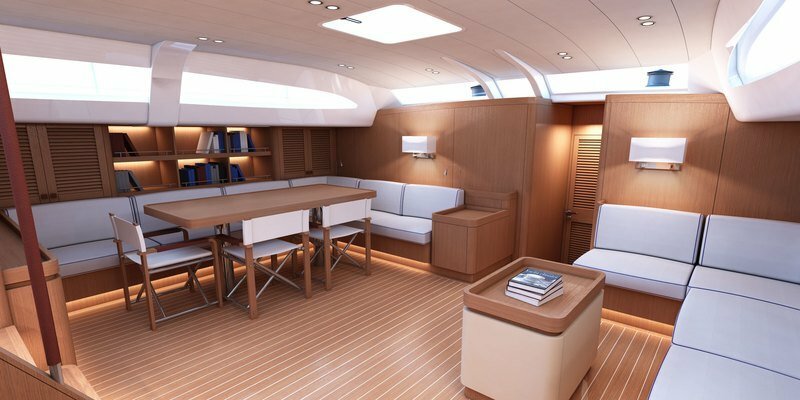 With its protected cockpit, ample space for dining and entertaining. Nautor’s hallmark refined lines and voluminous interior, this yacht is well suited to extended cruising. This new Swan features distinctive lines with a plumb bow and wide stern. 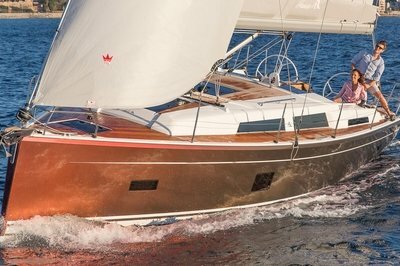 The Swan 95 boasts twin rudders to ensure she is responsive and maneuverable. This in combination with a lifting keel gives her a shallow draft of 3.3 m with the keel up and 5.5 m with the keel down providing versatility for finding nice harbors but still allowing powerful sailing. The hull and deck of the Swan 95 are built from a female mould using full carbon sandwich construction for maximum stiffness, yet minimal weight. The Swan 95 offers a generously proportioned interior with stylish accomodations. The Swan 95 offers a generously proportioned interior with stylish accomodations: a luxurious main saloon with unparalleled views, a spacious and well-equipped galley and a large dedicated navigation area. The Owner stateroom is positioned aft. There are three guest cabins that sleep two and two crew cabins. Each guest cabin is en-suite. The engine room is positioned full beam under the main saloon for optimum onboard logistics and operation.